When Charlotte Muquit asked me and a few other “allergy parents” to answer questions about allergy life for a book she was working on I happily agreed and forgot all about it. 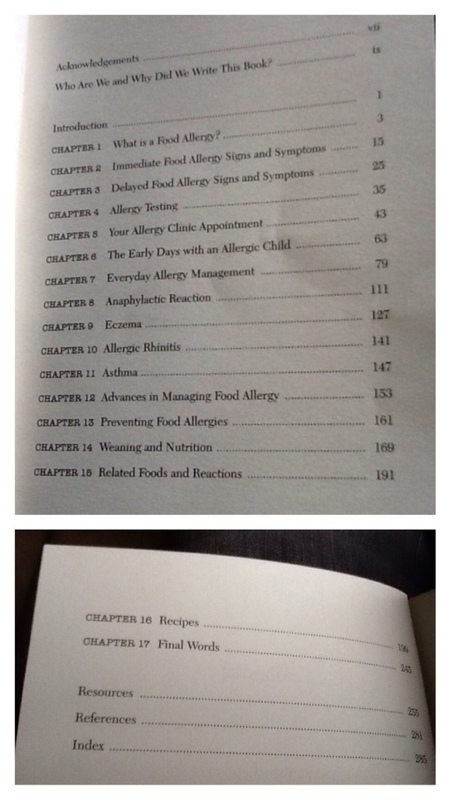 In the time since then Charlotte along with leading Allergist Dr Adam Fox were very busy creating easily the best most comprehensive allergy reference and guide book I have read to date. I am pretty proud to have played even a small part in that and was thrilled to see my little blog listed in the resources section of the book! Thank you so much Charlotte! For anyone who has suspicions their child has a food allergy or for those who have just been diagnosed this book is invaluable. It covers any angle you could possibly want it to. It also gives you both sides of dealing with food allergies from the mothers view from Charlotte and her adorable boy Zach and various parants living with the day to day ups and downs of raising a child with severe food allergies. To the expert views of Dr Adam Fox who is highly respected in the area of childhood allergy. One section that I think is useful to many parents that are new to allergy is the one that discusses different types of allergy and how to recognise the difference. It is something you see come up often on allergy forums. The Recources section is full of helpful links, examples of school emergency plans, food diary charts you can copy, information on reading labels with different words used for common allergens. For those with babies there is weaning information as well. This is great because I really struggled weaning Levi on such limited options. It explains how to introduce new foods to a food allergic child safely so you can notice reactions and pin point what they are reacting to more easily. I wish I had owned this guide when Levi was a baby it would have made things so much easier and less stressful for me. There is also a whole section of free from recipes for you to try. I made the Black Treacle Banana Loaf (pictured) and had to hide it from the children as they kept coming back for more. There are a variety of sweet and savoury recipes to try including lunch box fillers such as cookies, healthy muffins and flapjack bites as well as cakes and goodies for birthdays and other events and the most delicious healthy meal ideas. The part that I think shouldn’t be overlooked is the Final Words chapter that discusses the emotional aspect of being a parent to a child with allergies. The anxiety and fears and how we deal with them. Suggestions of where to find support can also be found in the Resources section. 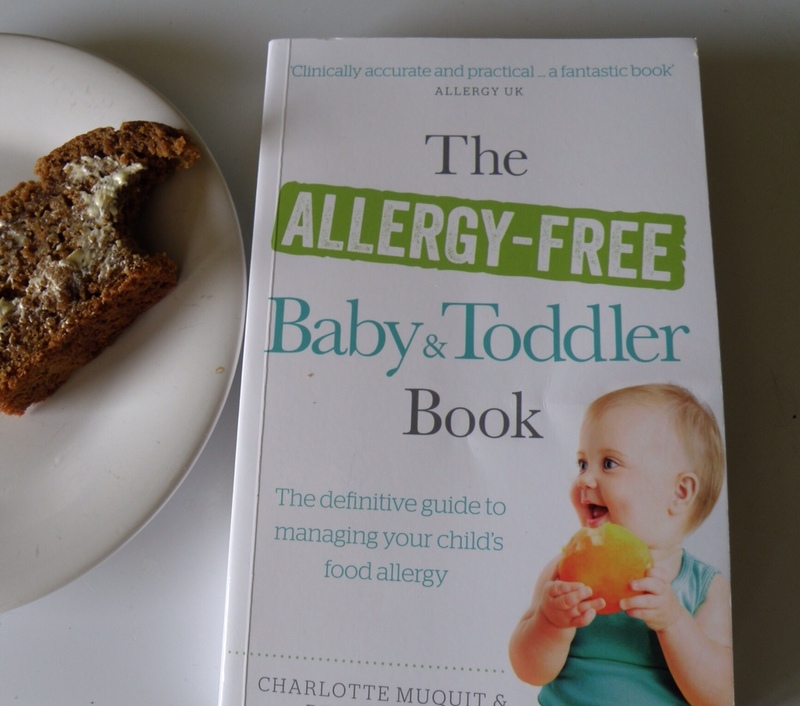 I know that even though my son is past the toddler stage I will be dipping into this book often and shall recommend it to any parents struggling with an allergic baby or child. 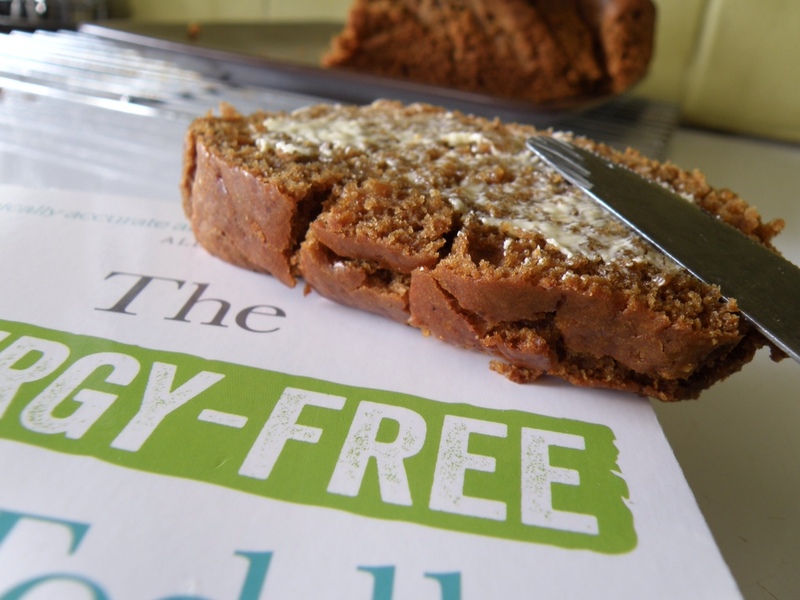 You can buy the book for yourself or for someone you know is new to dealing with food allergies (they will thank you!) from Amazon and all good book shops. You can also find Charlotte on Facebook, Twitter and the fantastic website linked to the book. This looks a fantastic book Bev,what a great review. You must feel very proud being part of it and I am sure it will help many, many families. Well done to all those involved in writing it! It’s a really fantastic resource for people dealing with allergies. So happy to own a copy! ← Why must we fight for good allergy labelling?